Draped in Health, Wellness, Life and Love. We sold a lot of DiH blankets this year; so many that we are completely out of the cream/light green! Since we donate half the proceeds of each DiH blanket sale to The University of Michigan’s Cancer Research Center, we were happy to be able to make another donation to such a worthy cause. I am happy to report that our 2014 donation was $1778.40. I would like to thank everyone who helped make this donation possible – thank you for helping support us and for helping us give back. We hope that you have enjoyed the blankets and continue to enjoy them and the therapeutic benefits they provide. Here’s to a happy and healthy 2015! By now, many of our readers already know that Celliant® products can help ease pain caused by arthritis. But what else can be done? Below is an article written by Healthline that discusses some other ways to keep arthritis pain away. Enjoy! There are more than 100 types of arthritis, but the most common are osteoarthritis and rheumatoid arthritis. Both cause joint pain, destruction, and possible disability, and both are incurable, but the causes of these two diseases are very different. Osteoarthritis—the “wear-and-tear” arthritis—affects more than 27 million Americans. Most are older than 65, though OA can affect people who are younger. In OA, the cartilage that caps and cushions the joints wears away over time. Eventually, the exposed bones grind together, causing pain, damage, and disability. Osteoarthritis mainly affects the bones of the lower back, hips, knees, and feet, though it can occur in other joints as well. Rheumatoid arthritis, on the other hand, is an autoimmune disease that affects about 1.3 million people in the U.S. Its cause is still unknown. In RA, the body’s defensive immune system mistakes the synovial tissues that enclose and line the joints for foreign invaders, like bacteria or viruses, and sends warrior antibodies to neutralize or destroy them. The resulting inflammation causes swelling, pain, joint destruction, and often, permanent disability. Over-the-counter non-steroid anti-inflammatory drugs (NSAIDs), like acetaminophen, naproxen, and ibuprofen can relieve the pain of both RA and OA, though sometimes stronger analgesics, like opiates, may be necessary. Powerful medications called disease-modifying anti-rheumatic drugs (DMARDs) can help to slow or even stop the progression of RA, and may, in turn, relieve the pain it causes, but how effective they are varies from person to person. RA affects each individual differently. In both types of arthritis, if the affected joint deteriorates, surgery—including bone fusions or joint replacement—may be necessary. Drugs aren’t the only remedies for the discomfort and pain of arthritis, however. Splints, bandages, and wraps, and the application of heat or cold in the form of ice or heat packs, blankets, baths, or soaks may help as well. Topical creams and ointments that create a sensation of heat or cold in or around the affected joint can also be soothing. Lifestyle changes can help both types of arthritis, too. Eating a healthy, well-balanced diet that includes plenty of fresh vegetables and fruits, proteins like lean meat and fish, eggs, beans, and legumes, whole grain breads, cereals, pastas, and brown rice, low-fat dairy foods, and plant-based fats like olive or canola oil, can be very helpful. Avoid sugary desserts and beverages, reserving them for special treats or occasions. Eating mindfully can help you lose weight if you need to—and maintain a healthy weight if you don’t, which relieves stress on the weight-bearing joints. And a healthy diet means an overall healthier body. Walking, swimming, stretching, biking, or doing gentle weight-bearing and range-of-motion exercises can also help with arthritis pain and disability by keeping the muscles and joints strong and flexible. Doing these types of exercise for about 30 minutes a day, five days a week, will go a long way toward keeping you healthy and the pain of arthritis under control. Leslie Vandever is a professional journalist and freelance writer with more than 25 years of experience. She lives in Northern California. As always, we are happy to share articles about new research, treatments, anecdotes, and stories about adrenal cancel. The article below came from SpireHealthcare.com. Enjoy! The Endocrine Society has released a Clinical Practice Guideline (CPG) for the diagnosis and treatment of pheochromocytomas and paragangliomas, which are rare types of adrenal tumours that can increase the risk of cardiovascular disease and death. Pheochromocytomas are uncommon, and usually non-cancerous, tumours that grow on the inside of the adrenal glands, while paragangliomas are similar but they develop outside. Both can cause the body to produce excess amount of the hormone epinephrine and norepinephrine, which is involved in blood pressure regulation. According to the NHS, both of these types of tumours can sometimes be caused by inherited genetic disorders, such as multiple endocrine neoplasia (MEN), von Hippel-Lindau syndrome and neurofibromatosis. Patients can undergo surgery to remove the growth, but around one in ten of these experience a return of the tumour. If they are left untreated they can cause severe episodic headaches, excess sweating, a racing heart, high blood pressure, trembling and feelings of anxiety. The NHS states that these attacks may become more frequent, longer and more serious as the tumour grows. However, some people with pheochromocytomas and paragangliomas never experience symptoms. According to the National Cancer Institute at the National Institute of Health, scientists believe that between 0.1 and one per cent of patients being treated for high blood pressure have pheochromocytomas. Jacques WM Lenders, chair of the committee that authored the guideline, titled ‘Pheochromocytoma and Paraganglioma: An Endocrine Society Clinical Practice Guideline’, said: “Correctly diagnosing pheochromocytomas and paragangliomas is extremely important. The new guide recommends that initial testing for these specific tumours should include blood and urine tests that look for metanephrines, which are the byproducts left behind when the body metabolises epinephrine and norepinephrine. Previous studies have shown that these examinations are more effective at identifying patients who have pheochromocytomas or paragangliomas, compared to other techniques. According to the recommendations, those diagnosed with this type of tumour should be involved in the decision-making process to evaluate the need for genetic testing. The CPG also suggests any diagnostic algorithm used should take into account the age of the patient and family history as this could dictate what gene mutations should be tested. The Endocrine Society’s report suggests the use of computed tomography as the first choice for imaging technology when attempting to identify the location of the pheochromocytomas or paragangliomas for surgical treatment. In certain situations, magnetic resonance imaging (MRI) can also be used, including cases where the tumour has metastasised as this technique can detect paragangliomas in the head and neck. According to the organisation, the CPGs are published to provide endocrinologists and other medical professionals with evidence-based recommendations in the diagnosis and treatment of endocrine-related conditions. “Raili Kerppola had a thriving career in the pharmaceutical industry when she was diagnosed with stage four adrenal cancer in 2011. While seeking treatment at the University of Michigan, she began working with an endocrinologist named Dr. Gary Hammer and her husband, a professor of biological chemistry at UM, on researching and discovering new treatments for the rare disease. Kerppola died this June. But her legacy lives on through a VC-backed company called Atterocor, for which she is credited as a co-founder. The University of Michigan spinoff is conducting a Phase 1 clinical study of a drug that it hopes could prolong the lives of patients with adrenocortical carcinoma, and cause fewer toxic side effects, than the current treatment option. It’s a rare form of cancer that carries a short life expectancy after diagnosis. That’s because it’s usually caught late-stage, when a patient presents with symptoms like unexplainable weight gain, hypertension, abdominal pain or other metabolic complications caused by excessive production of hormones by the adrenal glands. Treatment starts with surgery, if the cancer is caught early enough. Then, doctors usually try to extend life with a cocktail of chemotherapy drugs including mitotane, a drug that reduces the amount of hormone produced by the adrenal cortex. The problem? Mitotane, a derivative of the pesticide DDT, is terribly toxic. And its efficacy is questionable, too. Atterocor co-founder Julia Owens said the FDA approved the drug decades ago, before the agency required drugmakers to demonstrate that it works before approval. She said that although it likely does have some benefits for patients, they usually have to take multiple doses a day for three to four months before their mitotane levels reach a therapeutic range. Meanwhile, they’re usually also taking chemotherapy drugs. “One endocrinologist recently told me that the way you can tell if a patient is getting close to efficacious mitotane levels is when they can’t walk down the hallway without assistance,” she said. Atterocor says its compound is highly specific to the cells of the adrenal cortex, which is where the cancer occurs. “We haven’t done human trials yet so we can’t make any claims, but based on toxicity studies, our effect seems much more specific, much more rapid, with a better (pharmacokinetic) profile,” she explained. It’s received orphan drug designation in the U.S. and in Europe. The company started a Phase 1 trial over the summer at MD Anderson Cancer Center and the University of Michigan Comprehensive Cancer Center. Owens said the company should have some data on tumor responses and steroid markers in the next six to 12 months. With six employees, Atterocor is a small company, but it’s attracted some big-name investors. Last year the Ann Arbor startup reined in a $16 million Series A from Frazier Healthcare, Osage University Partners and 5AM Ventures. 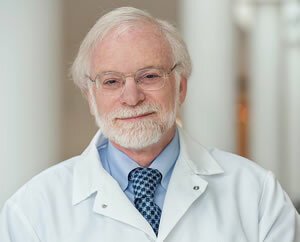 Max Wicha, M.D., director of the University of Michigan Comprehensive Cancer Center, reflects on the center’s first 25 years and what the future may hold. How did the Cancer Center come about? The idea actually started on a napkin. It began at a meeting of the American Society of Clinical Oncology — this was about 1985. At the time, I was the chief of the division of hematology/oncology and Dr. Allen Lichter was the chairman of the Department of Radiation Oncology. We started talking about creating a cancer center at the U-M. We then got together with Dr. Raymond Ruddon, chairman of Pharmacology and one of the most renowned cancer researchers on the U-M faculty at the time. In these initial discussions, we sketched out on the back of a napkin how we might establish multidisciplinary cancer programs that would bring together basic scientists, clinical scientists, radiation oncologists and surgeons. The goal of a cancer center was to design better strategies to link cutting-edge research and clinical care, and in fact, that has remained our goal throughout the last 25 years. It’s both a challenge as well as a goal — inking research to patient care and putting together multidisciplinary teams of researchers and clinicians in the most efficient way to facilitate patient care and research. Research and care weren’t integrated back then? The U-M, in fact, does have a long-standing history of being a center for interdisciplinary research. 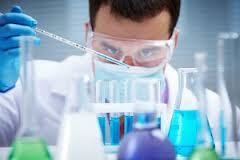 However, in the field of cancer, much of the research, as well as cancer care, was fragmented. Most of the physicians and scientists were organized according to their departmental appointments. This sometimes accentuated a “silo” mentality that inhibited interdisciplinary research. The Cancer Center provided a structure to organize multidisciplinary and interdisciplinary research between departments and schools at the university. We felt, and still believe, that this is a better way to advance research and patient care. What was it like at the beginning of the Cancer Center? When we started the Cancer Center, we were scattered throughout many buildings at the Medical Center and other schools in the university. There was, in fact, no Cancer Center building. We ran the administration of the center from a trailer behind the Simpson Memorial Institute. That was it — all we had was a trailer and a vision of what could be created in the future. But even without a dedicated building, what was happening? Even before we built the cancer center facility, we worked with Medical Center and departmental leaders to greatly expand the cancer research and treatment capabilities at the U-M. This included our recruitment of a number of stellar researchers, many of whom focused on moving basic research into the clinic. As a result our cancer program, which was unranked nationally, jumped into the top 20 over that decade. In fact, we have continued that trajectory and are now the No. 1 university-based cancer center in terms of National Cancer Institute grants to medical schools and No. 3 in the country for overall grants from NCI. How is cancer research changing? For much of the last 20 years, we thought that the most efficient way to organize cancer research was according to disease sites. We created research programs in each of these disease sites such as breast cancer, prostate cancer, colon cancer and pancreas cancer. This greatly facilitated our interdisciplinary research. However, science continues to advance and we now find that there are many similarities between cancers in different organs at the molecular and genetic level. Our challenge is now to integrate research across multiple tumor types so that we can draw from the strengths of these programs and develop specific treatments that target genetic pathways in cancer. What are some of the current challenges? Despite the tremendous advances in cancer research, national funding for cancer research is actually declining. As a result, only 7 percent of grants submitted to the NCI are now funded. Our core grant which funds the Cancer Center infrastructure was successfully renewed for the sixth time last year. Despite receiving an “Outstanding” priority score, however, NCI budgetary constraints have resulted in a freeze of all cancer center budgets. The tremendous increase in cancer research technology has also been expensive. These increased expenses and great opportunities occurring in a context of decreased NIH funding means that we need to identify additional sources for research funding. One of these sources is the biotechnology and pharmaceutical industry. The Cancer Center has greatly expanded its interaction with these groups. This not only helps to support research, it helps to move discoveries into the clinic in an efficient manner. As an indication of this success, U-M Cancer Center investigators have spun-off 10 biotechnology companies, eight of which remain in Michigan. In addition to moving research forward, this helps to stimulate the local economy. Another important source for funds to support research is philanthropy. We are privileged to have a loyal group of donors who have helped us develop our dream. We continue to work with the Health System to identify and work with major donors and in fact, to potentially attract a naming gift for the entire Cancer Center. In the future, will oncologists be able to select a treatment based on the genetic mutations of each patient? That is our hope. In fact, the Cancer Center is one of the leaders nationally at performing genetic analysis of individual tumors. The analyses have shown us that individual tumors may contain multiple mutations suggesting that successful cancer treatment may require the use of multiple targeted drugs. A good analogy of this is the treatment of AIDS. If you use a single drug against HIV, the virus rapidly becomes resistant. But if you use a cocktail of inhibitors, you can inhibit HIV growth turning AIDS into a chronic disease. That’s what we hope to accomplish with cancer treatment. Using a combination of molecularly targeted drug inhibitors, we can either eradicate cancer or at least make cancer a chronic disease. The NCI’s most recent “Cancer Trends Progress Report” shows that the overall incidence and death rates for cancer are decreasing. Is there a danger that people will relax and say cancer is taken care of, let’s move on to something else? It is true that we are making substantial progress in the treatment of cancer. However, we also are seeing an aging population and since cancer is more common as we age, this is leading to an increase in cancer incidence. As we continue to make progress in treating other major killers such as cardiovascular disease, cancer may become the No. 1 killer of Americans over the next decade. Furthermore, although we’ve made great progress in treating certain cancers, progress has been significantly more limited in the treatment of other cancers — and progress in the treatment of these cancers will depend on our continued research. What are your dreams for the future of the Cancer Center in the next 25 years? I would like the U-M Comprehensive Cancer Center to be seen as the place where some of the crucial breakthroughs were made that led to improved outcomes for patients with cancer. We also would like U-M to continue to enhance its reputation as a preeminent center for holistic patient center care, as well as groundbreaking research. 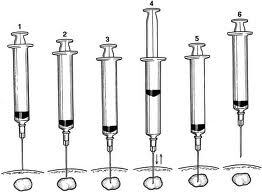 The current test for Thyroid cancer is a fine-needle aspirate biopsy. According to a new study done at the Pontifical Catholic University of Chile, between one-fourth and one-fifth of the results gathered are unclear. Unclear tests cause increased anxiety among patients along with more tests or surgery where cancer is only present in 25% of cases. Three out of every four patients end up having unnecessary thyroidectomies (removal of the thyroid) which leads to high treatment costs and risk of complications. Investigators have created a gene signature test which identifies 18 genes that are associated with thyroid cancer. Ten of those genes are then used to develop a computer program which finds thyroid nodules with cancer. The study tested thyroid nodules from 300 patients by using a DNA-amplifying test which they call the polymerase chain reaction. So far, the test has accurately identified benign nodules in almost all of the samples that were tested along with identifying cancerous and noncancerous tissue in 96% of samples. The test could be helpful in the future to identify those patients who do not need surgery.